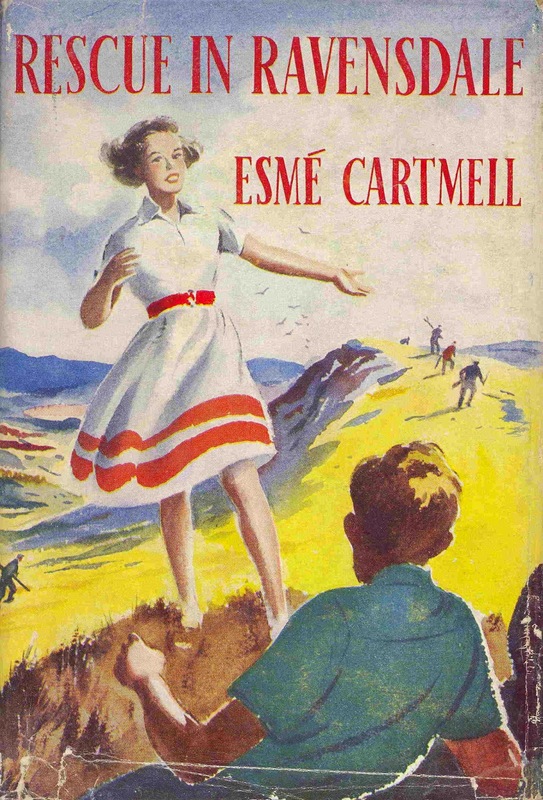 Cartmell, Esmé. 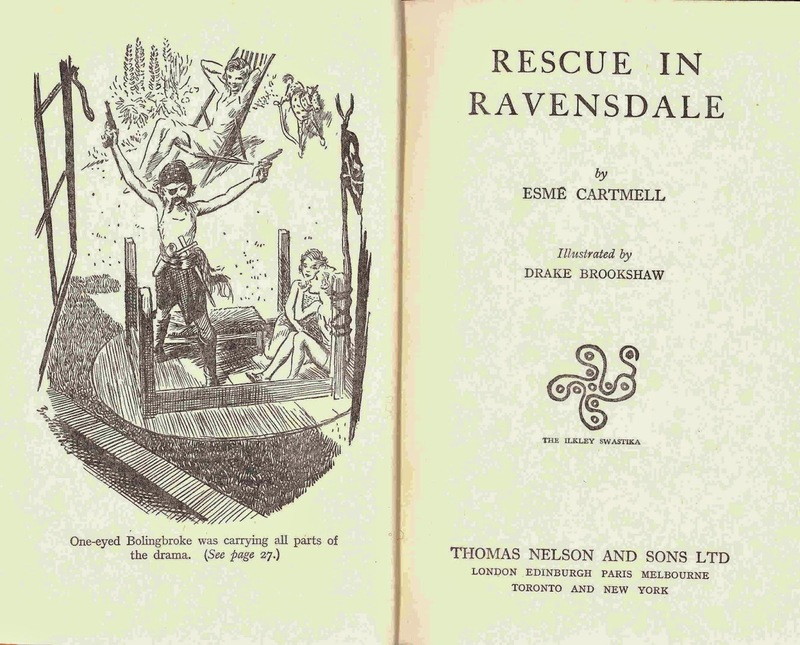 Rescue in Ravensdale (London: Thomas Nelson and Sons, [February 1946]). Illustrated by Drake Brookshaw. This is a children’s book, telling of a fortnight-long family holiday in Yorkshire in August 1939, just before the start of World War II. (One suspects that the book might have been written around that time, with paper shortages delaying publication until after the war.) The plot is minimal. It centers on the Levington family, father and mother, their four daughters (the youngest are twins), and cousin Roger who joins them. The father, Brand, is an author and publisher’s reader of books for older children, and the whole family is rather bookish, making their conversation one of the more enjoyable aspects of the book. Brand brings home some manuscripts for the opinions of his children, and even their evaluative banter is amusing. When one child complains of the “very dull beginning of very dull Ivanhoe,” the father responds: “Scott wrote Ivanhoe for grown-ups . . . He had to describe everything so carefully because no one had tackled the Middle Ages like that before.” His daughter sensibly replies: “M’m. I see. But I wish he wouldn’t make his people say Hark ye, villain, I’ll give ye a bonk on thy nose, and things like that” (p. 106). The family holiday includes a good amount of hiking and sight-seeing, attractively described, but a tone of seriousness comes in when they find a supposed German spy—actually a sculptor and artist who had come to England via Denmark to flee Hitler—who is hunted by a local figure the Levingtons have christened Oswald Poop. Oswald Poop ends up having a sinister agenda (assisting the Nazis), and the Levingtons are able to save the artist and thwart his adversary. 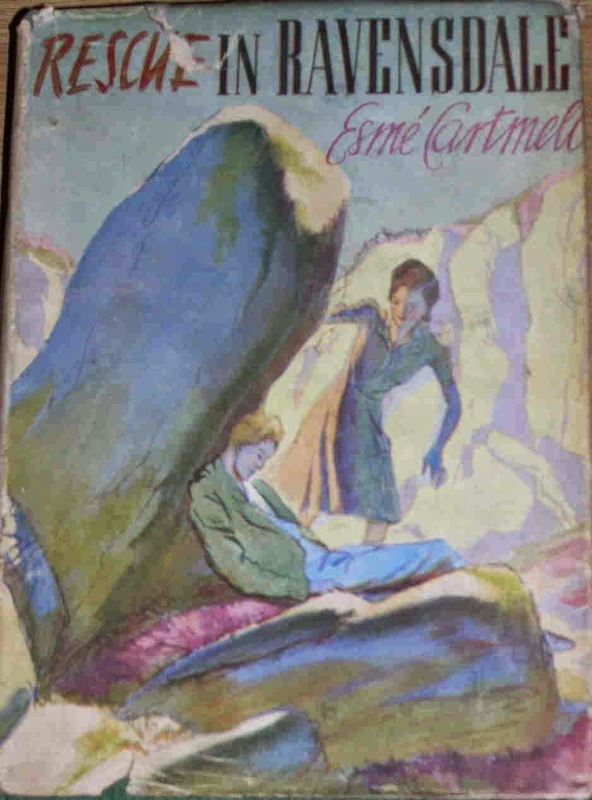 The book has an added interest because Esmé Cartmell was a one-time pseudonym of Leslie Barringer (1895-1968), author of Gerfalcon (1927) and its two sequels, Joris of the Rock (1928) and Shy Leopardess (1948). Besides being an author, Barringer was, like Brand Levington, a publisher’s reader of books for older children, and the father of four daughters (the two youngest being twins). One suspects that the physical description of Brand may also apply to Barringer (of whom I know of no published photographs): “He is tall, thin, mild, with bushy grey hair, grey eyes, horn-rimmed spectacles (the whitish kind), and tweed clothes” (p. 12). Rescue in Ravensdale was reprinted once, in February 1955, in the “Triumph Series” by published Thomas Nelson and Sons. 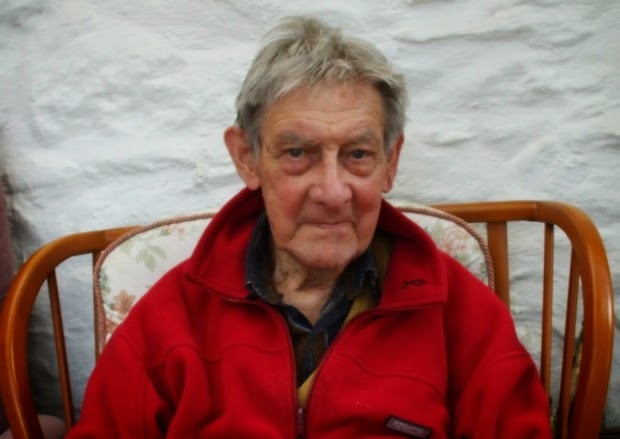 Though his passing six weeks ago seems to have been ignored by the London press, there are two fine obituaries of John Barclay Pick in the Scottish press, one in The Scotsman and the other in the Herald Scotsman. Here I wish to praise two particular aspects of Pick's literary work. He was the first critic to champion the greatness of David Lindsay (1876-1945), and for his work on Lindsay we should all be very grateful. His first article on Lindsay appeared as long ago as 1951, and he had several important articles and introductions appear in the 1960s through the 1980s. I think Pick's last writing on Lindsay appeared in his story of the metaphysical tradition in Scottish fiction, The Great Shadow House (1993), which contains two chapters on Lindsay, and which takes its title from a variant of a passage in chapter eighteen of the manuscript of Lindsay's The Witch, referring to the universe as "the vast shadow-house of earth and sky" (later referred to by Lindsay more simply as "the great shadow-house"). 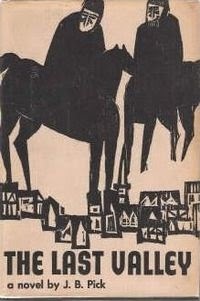 Besides Pick's work on Lindsay, I'd like to call attention to one of his novels, published in the UK as The Fat Valley (1959) and in the US as The Last Valley (1960). Not only is it a fine and haunting novel set in the 1637-38 in southern Germany during the Thirty Years War, it is, as C.P. Snow suggested, "an excellent example of the historical novel used as a symbol of our present condition." It has only a very slight literary tinge of Lindsay, but it shares its roots in each writer's dissatisfaction with reality. It was also made into a fine film, under the US book title, starring Michael Caine and Omar Sharif, directed by James Clavell, and released in 1970. It's well worth watching, a fine adaptation of the novel. I exchanged a few letters with Pick back in the early 1980s. He was very kind and helpful to me, and in response to one of my queries about other writers whom I should read (besides Lindsay and Neil Gunn, about whom Pick had also written), he recommended John Cowper Powys, beginning for me another enthusiasm. I've felt grateful to him for many years. 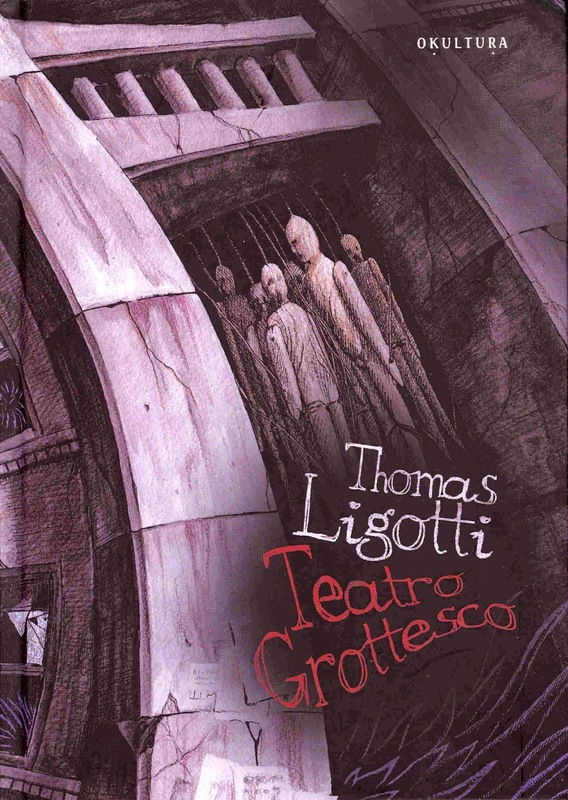 Just a quick look here at the new translation of Thomas Ligotti's Teatro Grottesco into Polish from the publisher Okultura. 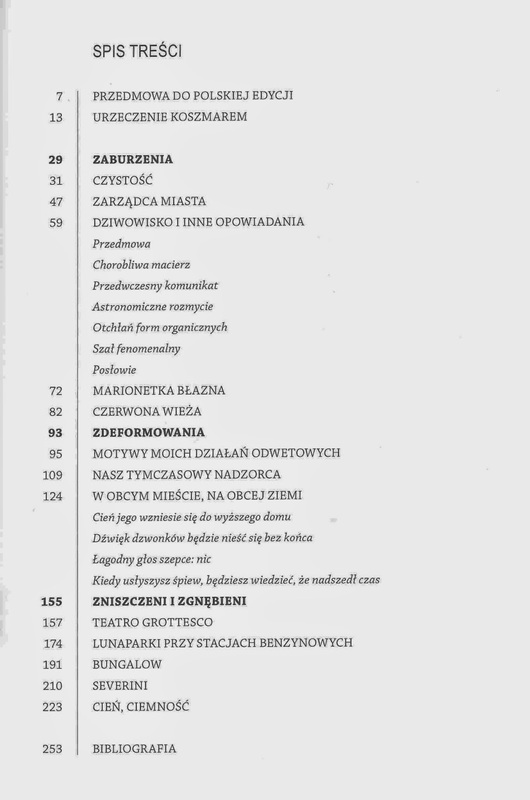 Not only is there a new three-page Preface to the Polish Edition by Ligotti himself (translated by Mateusz Kopacz), but there is a fourteen page foreword by Wojciech Gunia and Slawomir Wielhorski and a very extensive Ligotti bibliography by Wielhorski. * Congratulations to all involved on this fine production! *Note: Wielhorski also did an excellent interview with Ligotti that first appeared in Polish in 2012, and has now been collected in Born to Fear: Interviews with Thomas Ligotti (2014), edited by Matt Cardin. Weilhorski's interview, with an extra bonus answer at the end, also appears at Matt Cardin's blog, The Teeming Brain. Click here to see it.